Sony will bring classic Playstation games to iOS, so why won’t Nintendo? Nintendo’s Miitomo game is making $280,000 per week, but some iOS gamers still long for Mario, Donkey Kong and Zelda. 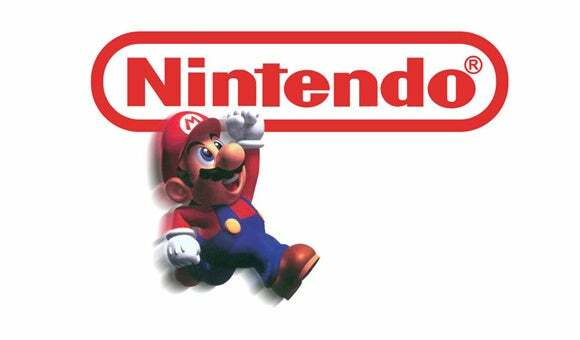 Will Nintendo ever release its classic games for iOS? When Nintendo first announced that it was going to start releasing games for iOS, many gamers rejoiced as thoughts of Donkey Kong, Mario Kart, Zelda and other top Nintendo games raced through their heads. But instead of releasing any of its top franchises, Nintendo went with a game called Miitomo. According to new estimates, the social app is currently raking in a whopping $280,000 every single week. We knew Nintendo’s first smartphone game would be popular — even without a familiar character. That’s why its earlier decision not to make games for Android and iOS seemed baffling. But the Japanese company will be glad it changed its mind now. SurveyMonkey estimates that more than 4 million people are already using Miitomo at least once a month — less than one month after the game made its debut in Japan, and just two weeks after it arrived in the U.S. and Europe. It’s thought Miitomo attracted 2.6 million downloads last week alone, with two thirds of those coming from users on iOS, and the rest coming from Android. On average, the game was downloaded over 370,000 times every day. Despite the fact that Nintendo is clearly making some decent money already from Miitomo, some iOS gamers remain unimpressed with it and are still clamoring for games featuring Mario, Link and Donkey Kong. Paradoxally: “This is not a game. It’s a full-blown ad to push people to their services. If they were so good (financially and quality-wise), they wouldn’t need to use the mobile platform generating the most amount of a revenue/year to promote their products. You don’t see Sony and Microsoft needing to do this. Phillipduran: “Why must we suffer such lunacy?!?!?! Open the cash cow flood gates and drop Zelda, Mario Kart and Super Mario Bros.
It’s always like this. Users would love to have certain titles, but no, not going to do that, we’ll give you some stupid social avatar question game instead. Madsci954: “People set their expectations too high. Nintendo, like Apple, wants to control the experience when you play games. I highly highly HIGHLY doubt Nintendo will officially release their big hits outside of their hardware. Like some of the gamers in the MacRumors thread, I have zero interest in Miitomo. To me it isn’t really a game, it’s more of a social networking sort of app. And that’s fine for the folks that want to waste their money and time using it. But I wouldn’t spend a moment of my time or money on Miitomo. I’m waiting for an iOS port of Mario Kart. That is one of my all-time favorite Nintendo games, and it would be fantastic if I could play it on my iPhone 6s Plus. I would have no problem paying $20 or even $30 for a good version of Mario Kart for iOS. And I'd probably spring for some Mario Kart in-app purchases too. I also wouldn’t mind seeing a classic version of Super Mario Brothers or some variation thereof on my iPhone 6s Plus. The same goes for the Zelda games and Donkey Kong. Games like these are what I love about Nintendo, and I was sorely disappointed when the company opted to release Miitomo instead. In a way I’m really sorry that Miitomo is raking in so much money each week. It means that Nintendo might think that it doesn’t need to release any of its top games for iOS, and that it can simply milk the iOS platform for tons of cash while keeping all of its first rate games for its own platforms. I really hope I’m wrong about this, and that we eventually see Mario Kart and some of the other classic games come to iOS. But right now Nintendo is probably thrilled about the money being generated by Miitomo, and that may sway the company toward making similar games in the future for iOS. I guess we’ll just have to wait and see if Mario, Link or Donkey Kong ever show up in an iOS game.